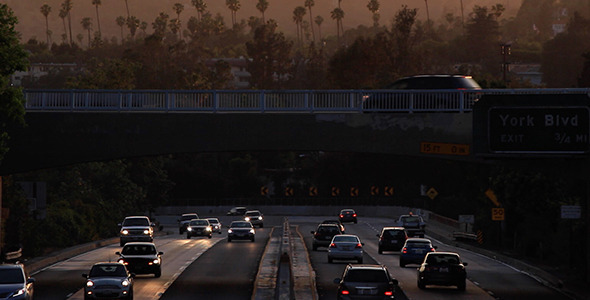 The sun sets over Highway 110 between Pasadena and Los Angeles. Traffic passes under shadowy palm trees. 1080P HD.